This Saturday, Feb. 2nd is theCelebration of Life and Memorial Service for Wayne “Big Dog” Joseph Visitation is from 1-3pm, service starts at 3pm, at Dodo Mortuary in Hilo. Everyone is welcome. Sports shirts and shoes are asked to be worn, as per Wayne’s wishes. Please, no flowers. If you feel so inclined we are accepting donations for his scholarship for young athletes, to continue his legacy forever. Checks can be made out to BIRR Scholarship Fund and be mailed to us, if you’re unable to attend, at Joseph Family HCR-1 Box 5445 Keaau, HI 96749. 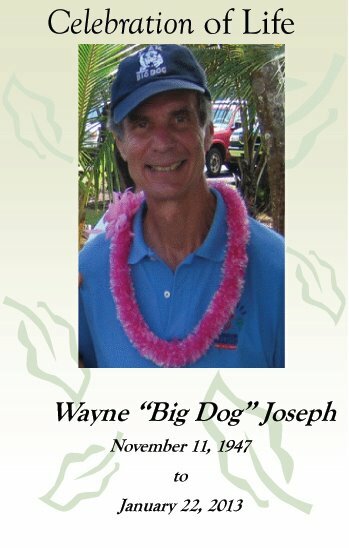 Wayne “Big Dog” Joseph, the tireless soldier, teacher, writer, advocate, runner and coach, crossed the final finish line Tuesday night, dying in the arms of his loving wife and daughter at their home in Hawaiian Paradise Park. He was 65. Joseph’s life matched his running philosophy: Never take shortcuts, an…d never back down. He tackled the Volcano Marathon the same way he tackled his opponents on the chess board, lazy Waiakea High cross country runners, or the governor in an on-camera confrontation — he’d huff and puff, and raise his voice, and run directly at the source of the problem. Students rarely beat him in chess, and when they did he’d demand a rematch. The Big Dog only half lived up to his nickname, which he earned during a basketball game years ago. He was tall only by Hawaii’s standards, and lean, but he was all alpha dog. He wasn’t the fastest runner in the race, but he was the most bull-headed. He set high standards, but those demanding traits served him well as a coach of many Waiakea High cross country and track teams. He only had five rules, and as judge and jury he sentenced violators to 25 pushups for each violation. No swearing. No rolling down the hill. No sitting during practice. No gay jokes. And no cutting the course. “You’re only cheating yourself when you cut the course” was one of his mantras, one that many former runners carried with them into their own lives: No shortcuts. Take the hard way. Give it your all, and finish the job. In 1998 when a runner, Sixto Padamada, collapsed with a stroke during a warmup, Joseph asked the team to dedicate the rest of the season to Padamada. They did, and had a breakout year. When in 1999 the team had a real chance of breaking Hawaii Preparatory Academy’s 26-year stranglehold on the boys cross country title, Joseph promised to shave his head if the team won. They fell short by two points, and the runners kept their end of the bet and shaved their own heads. Although only seven runners mattered in cross country team scoring, Joseph never held tryouts and he never cut anybody for injury, arrest (a funny story for another day) or lack of athletic ability. The only way a runner could leave the team was for lack of will. As a result, the Warriors fielded a team of dozens of runners. The team bus was so full that parents organized their own system to transport runners to race courses around the island. As the coach of an outdoor sport in the nation’s rainiest city, he once said a lightning storm was the only reason he would cancel practice. Before Joseph became famous as a writer with his more than 500 “Running with the Big Dog” columns in the Hawaii Tribune-Herald, he was a legendary endurance runner, logging tens of thousands of miles during his lifetime. He competed in marathons across the state and the nation. No marathon or ultra marathon was too difficult for him. 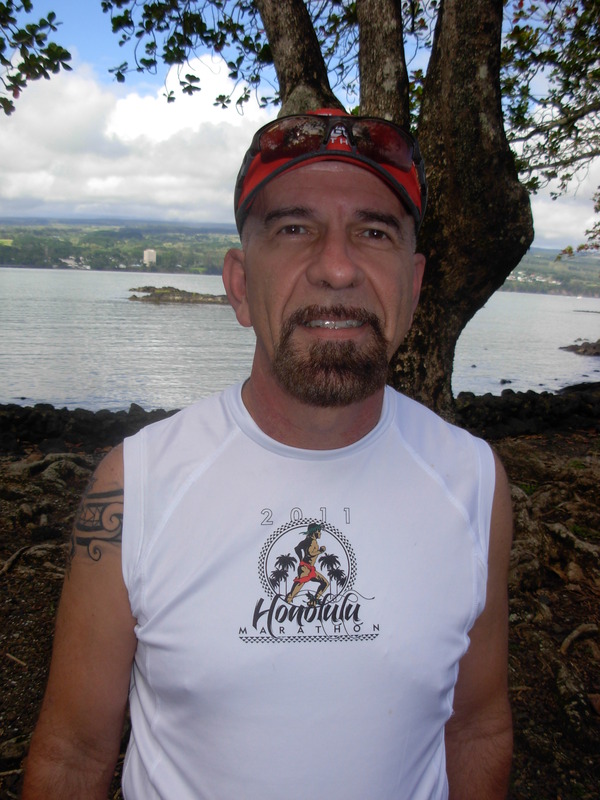 In later years he moved from being a racer to a race director, becoming the organizer of the Big Island International Marathon and many other smaller races. 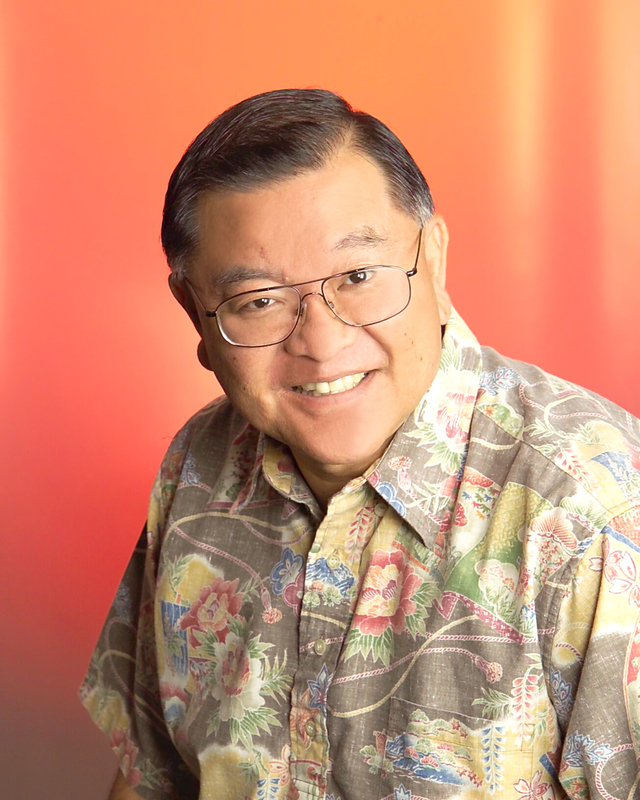 He taught modern Hawaiian history at Waiakea and developed a penchant for local politics. Upon retirement, he became president of the HSTA-Retired. 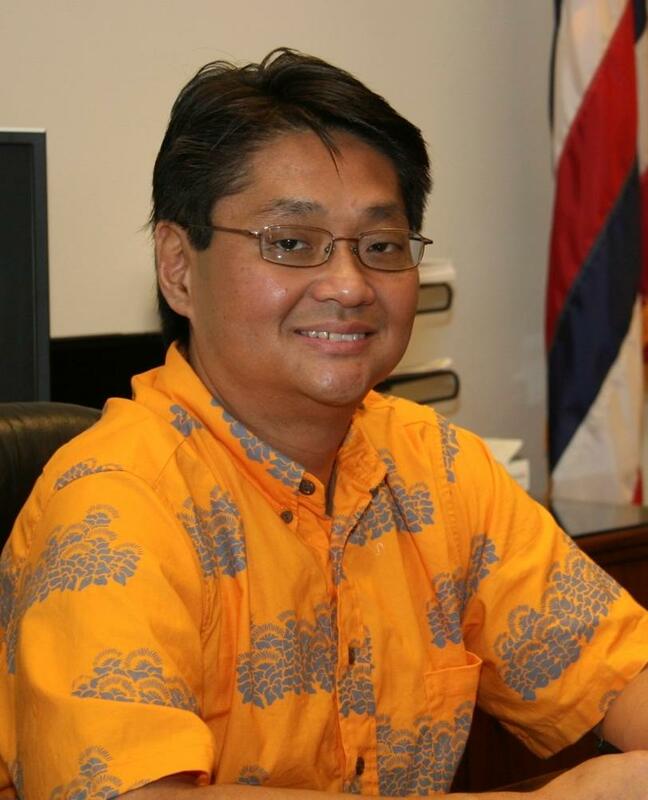 He ran once for Puna’s seat on the Hawaii County Council. 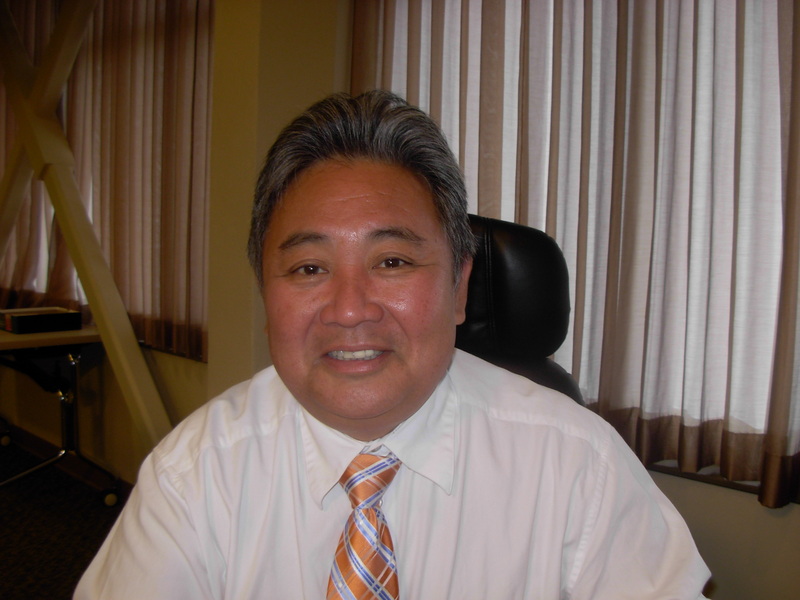 He bonded with Harry Kim, a former cross country runner from another era, and became the only person in recent history to be appointed to two county commissions simultaneously — the Cost of Government Commission and the county Ethics Commission. 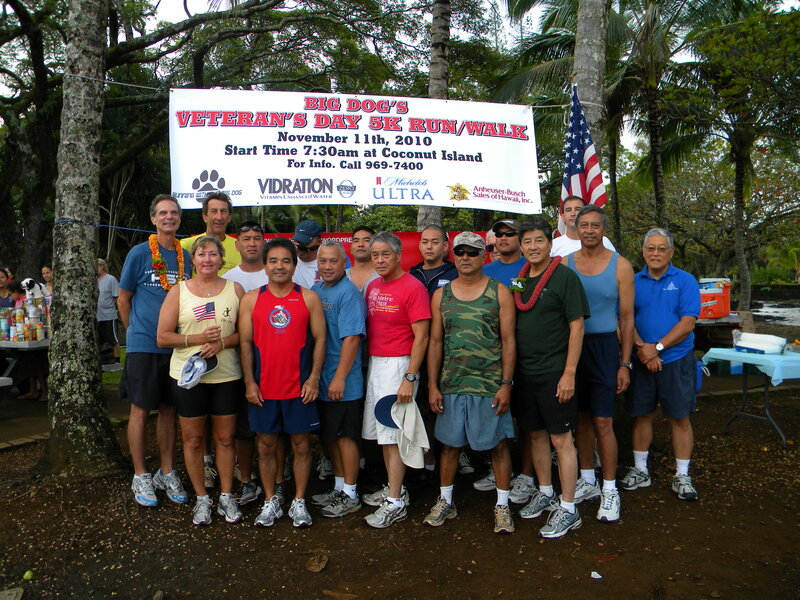 Although humility was never a strong personality trait in someone who called himself the “Big Dog,” he was humbled and a little befuddled on July 3, 2012, when a former runner turned news reporter (ahem) secretly arranged for Puna’s representative on the County Council to present him with a certificate honoring his life’s work. True to form, he fought his impending death and was able to hold it off until his daughter could return from study in Taiwan. His spirit was unsinkable even as his body failed. When 500 high school cross country runners who barely knew him wore gray ribbons at a meet last season at Kamehameha Schools, he was sitting at the finish line, waiting to interview the winners. He wrote his “Running with the Big Dog” column until the cancer and the chemotherapy robbed his ability to type. Joseph’s family wishes to remember him as he was before his cancer; healthy and active. 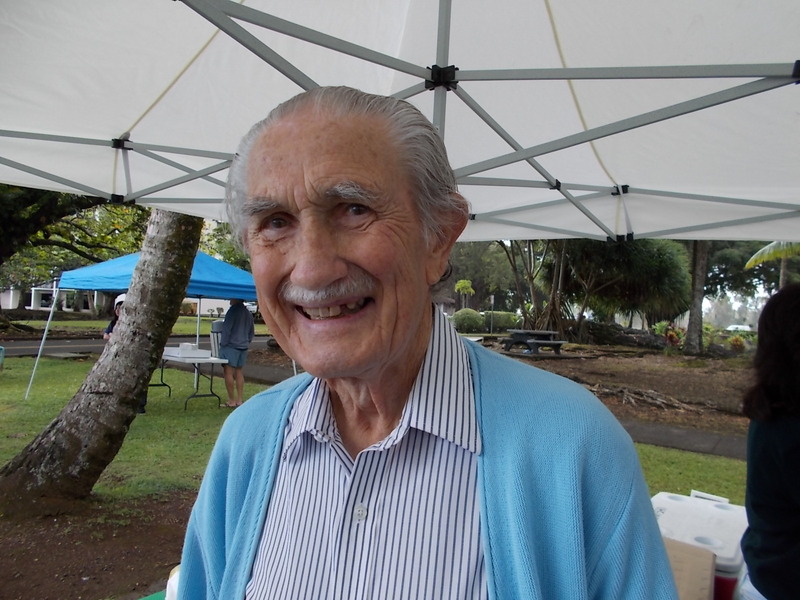 “May I say at the outset that I have never been an athlete, but I have been an ardent admirer of good athletes and feel scant sympathy for those who have treated their bodies to drugs or booze,” Custis Green 90 year old who now lives in Hilo said. Green moved to the Big Island from the Caribbean eleven years ago where meet his wife who was serving a 2.5 year term in the Peace Corps there. “I have always appreciated the efforts and dedication for healthful living with the focus on running and walking,” he said. Green learned at an early age the he wouldn’t do well at athletics when he tried out for the football and basketball teams when the school didn’t have a uniform size small enough that would fit him. Although Green became regulated to the bench he did follow the careers of the famous professional stars of the times like Babe Ruth and Joe DiMaggio. He would listen to the radio and read the newspaper in order to keep up with these athletes’ careers and others of our times, even today. Green also had a musical talent and tried out for the marching band where he played the trumpet. This allowed him to watch the games and cheer for his favorite players on the field. During World War II Green was a B-17 Bombardier flying out of England over Germany. Green became a prisoner of the Germans for 6 months and when he returned home to Colorado his father had hoped he would join him as a funeral director. “I hated to disappoint him but I wanted to work with children,” Green said. Green got an MA in education and spent 35 years in Portland Oregon. He spent most of that time as a principal. It was during this time when he was playing volleyball with his staff that he slipped and fell injuring his back. The doctor advised him to change to swimming saying that he was not as young as he used to be. “I hadn’t been swimming much since I earned my Boy Scout Merit badges in swimming way back when,” Green said. “Okay, I’ll give swimming a try,” he said. “The first time I entered the pool I was hooked. I also swam for a purpose which was to raise money for a hospital. I strong armed friends and church members into donating money for every lap that I swam in the pool. This earned me a certificate thanking me for earning the most money for a hospital. I’m rather proud of that,” he said. Of course Green has slowed down since his younger days but he has developed a routine in swimming three or four days a week at the local YMCA in Hilo. “I swim at the Ululani YMCA three or four days a week at 7 am for 30 minutes and it goes like this,” Green said. “For half the length I walk then I crawl with my head down in water; next I crawl with head up,” Green said. Finally he will do the breast stroke with his head down. “I don’t turn my head to breathe,” he said. “Then shower and head home for breakfast where I read all the sports in the HTH then do the cross word puzzle (usually napping in the middle of it,” he said with a wide grin. Green confess to eating three good meals a day, unless he has to make his own lunch which is usually a peanut butter sandwich. Green having to remain gluten free means no eating rye, wheat, barley and other grains. Green consumes no coffee, no alcohol and very little water which this 90 year young person admits to a weakness unless the water is flavored. “I sleep pretty well most of the time,” he admits. Now I must say this 90 years young person is probably in better shape than I am and he has a better fitness routine. 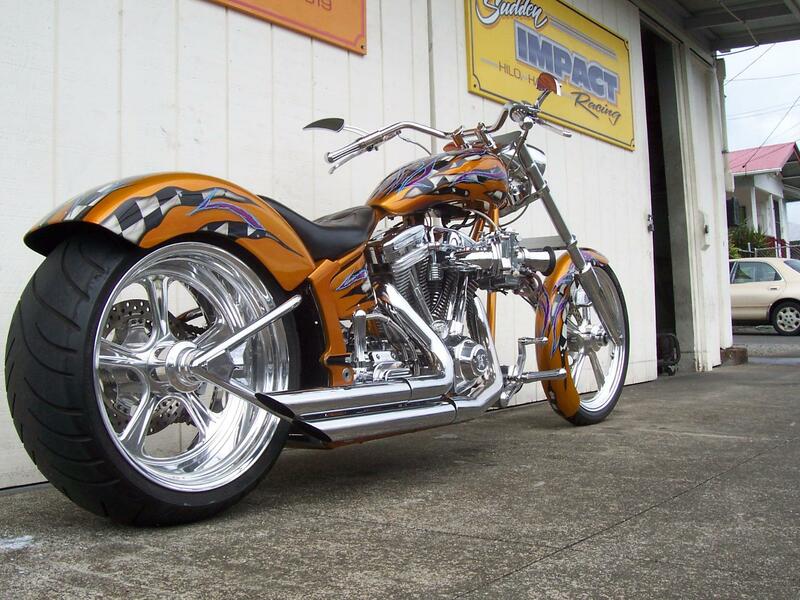 Email the Big Dog at waiakeabigdog@aol.com.